Number one pain point is hiring top engineers… Tell us about his Data platform, Beacon, and how it addresses this pain point? Is Beacon a sourcing tool, analysis tool or both? Can you give me an example of what you see when you look at a sector, sub-sector or even at the company level? Does this data really exist with very early-stage startups and/or nascent sectors, before they’re established? What are the sources for the data? I’ve worked for companies that had a difficult time getting one database to talk to another. Can you really source unstructured data, from limitless sources and structure it in a way where it’s streamlined, uniform, single record and can be used to drive insights? Do you think about data that is empirical and fixed vs. data points that can be influenced… and if you find a strong startup profile that is missing a couple of key elements that can be influenced, will you engage and attempt to address those factors w/ the founder? I’ve looked over the consumer and enterprise sector lists where you invest… and it’s a pretty broad list. Can you really have a data engine that works well for such a varied and broad landscape? Essentially, are you conducting a sector by sector sensitivity and regression analyses? Nick: CEO and Founder of #SignalFire, #Chris Farmer, joins us today from San Fransisco. 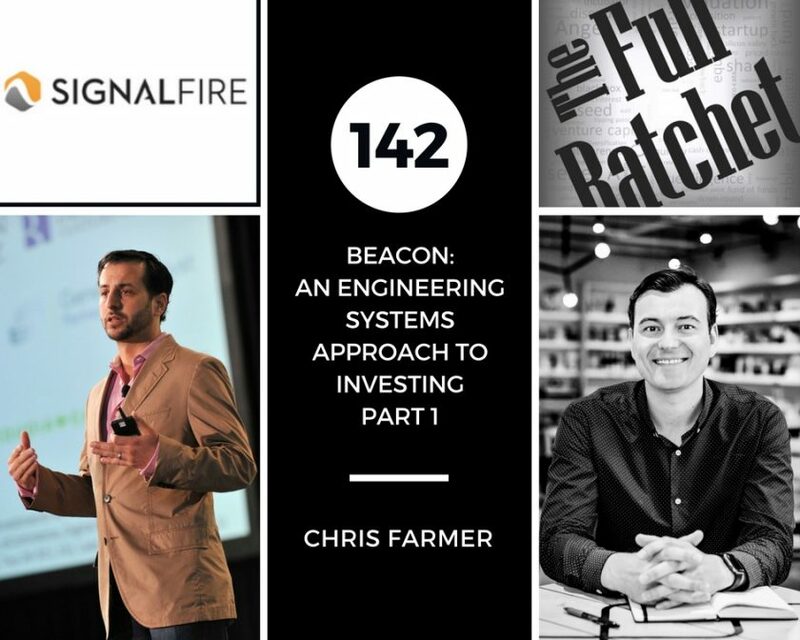 #Chris was the Vice President at #Bessemer, and a Venture Partner at #General Catalyst before founding #SignalFire, a seed stage VC. And his firm has been described as a complete redesign of the modern venture firm, where they have developed a centralized infrastructure to help with recruiting, BD, customer acquisition and events. #Chris, I’m excited to pull back the curtain and hear more about the approach. Thanks for taking the time! Chris: Thanks for having me! Nick: Yeah, so you’ve got quite a background working in tech companies as a consultant running a talent agency leading deals for some of the best firms in the valley. Can you walk us through your history and how that led you to venture? Chris: Yeah. So I’ve been focused on venture basically my entire career. I grew up overseas and then moved out to Northern California in the mid 80s. I went to school at Tufts in the Fletcher School of Law and Diplomacy, and I was very interested in international. And so I got sort of fascinated with this thing called the internet that was connecting people all over the world and allowing them to do business. And so I wrote my, my college thesis on internet marketplaces. And, and in that process, I had been a serial entrepreneur growing up, but in that process discovered venture capital and sort of found it as this sort of perfect intersection of investing in which I was passionate about and entrepreneurship. And basically have never looked back. So my career has sort of wound around a number of different areas but has probably been, primarily been focused on venture capital running companies and building, you know, various types of organizations specifically designed around, you know, helping founders build great early stage companies. So that’s, and that has led me through #Bessemer Venture Partners, where I was for a number of years, and then #General Catalyst where I launched the seed fund in the California office for the firm with a couple other partners, and, and then finally to, to #SignalFire, once I had sort of refined our own unique model, we decided to launch it full time in a dedicated way. Nick: Yeah. So, so what was the motivation to launch #SignalFire and sort of what’s the, the focus area? Chris: Yeah. So, you know, when I, when I looked at venture, basically almost every major fund was organized like a money management firm. I had a number of partners that came together on Mondays and would all sit around the table and talk about deals, you know, have companies present, etc. They’d run to the four winds and just sort of, you know, meet with companies, go to board meetings, etc. the other four days of the week and then circle back on Mondays again. And, you know, it, it was very much like a team in sport of the sense of tennis, where you, you know, you were individual players and you sort of tally up the score at the end of the day to see whether you’d won the tournament or not. And, you know, coming from an entrepreneurial background, I was always interested in, in being more of a team player and, and that approach. So I often tell, you know, folks that, that we play soccer when most of the rest of venture industry plays tennis. And, and we’re just constantly passing back and forth. So it’s not a single point of contact with the company. It’s more, you know, a whole team approach. And by that, you know, to me it doesn’t make any sense to have, you know, a general partner who’s, you know, a senior investor be sort of the only support infrastructure around a company. And so we, you know, a lot of firms have a little bit of recruiting or what not in their portfolio support. And it’s become more in vogue since #Andreessen Horowitz frankly forced the whole industry’s hand. But, you know, we’ve believed in that from, from even before #Andreessen existed. And have, have a number of dedicated people in, in, in lots of different functions. So I certainly don’t try to be the only touchpoint with companies. We have data scientists that deploy to our companies to help them on, you know, engineering and have a talent agency in house where, you know, we’ll do full blown recruiting not just routing to other research firms. We build systems to support our companies etc. And so what we really try to do is build a systematic approach that allows us to offer a higher level of support for companies from sort of inception all the way to the public markets. And, you know, that’s really hard to do on a seed fund. Needless to say management fee is, is, is quite low for these small funds, which is why it’s not that other, other investors don’t have similar intentions but, you know, they, they, they work off a model where, you know, their, their primary revenue source is management fee. And so as a result of that they, they, they don’t have a lot of infrastructure. It’s usually two, two guys and a dog that, you know, at the seed stage. And there’s only a handful of firms that have scaled beyond that. From our perspective we take a hybrid approach. We, you know, we have an engineering systems driven sort of approach to, to what we do. And actually have a hybrid model where we end up advising a lot of later stage investors in the public markets like the fidelities of the world as well as a number of corporate, you know, Fortune 100s, about 25 of the Fortune 100 have been clients over the last few years, trying to understand the startup landscape and what not. So we take the massive amounts of data that we collect with the systems and use that proprietarily for our own venture activity and then also use it to help paint the landscape for, for other constituents that are non competitive with us that help to advertise the, the heavy expense of building up all this infrastructure. 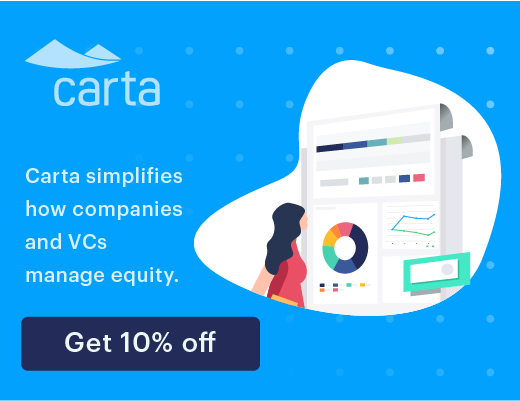 So it’s a, it’s a totally new approach to venture that’s much more of a sort of an operating company type approach than the traditional sort of money management structure of most VC funds. Nick: Interesting. And I do want to get into the, the system and the model. But if we were to start out at a higher level, you know, you’ve talked about sort of the four big founder pain points that you’ve observed in the past. Nick: Can you start out with those? What are those four major pain points and what are you doing to address them? Chris: Yeah. So I’m not sure which, which four specifically you’re referring to, but or what I’ve referred to in the past. But the single biggest pain point of entrepreneurs is typically, you know, building that, that early team and/or scaling their engineering team in particular over time. It’s the life blood of every company is, is building that team. So it’s something that we’ve put a tremendous amount of energy, time and money into to be best in class and as separate from everyone else in what we can do in that capability. So that’s, that’s something that’s been a primary focus of the firm and even preceding attempts of this over the last 15-20 years for me. So just the, the talent piece is, is paramount. Beyond that, like getting those early customers, getting those early channel partnerships is another key area. And so, you know, we have two full time market development partners on the team that have, you know, just fantastic relationships. One of my partners, #Yujin Chung, ran consumer market development for #Andreessen Horowitz for five years. And so developed hundreds of, of corporate relationships. And, and then another one of our partners, #Nick Zaharias, on the other side has been more focused on the enterprise side of things and, and ran sales and marketing for a #Kleiner and #Sequoia backed company back in the day and, and has just built a huge network of corporate relationships on the enterprise side. And so between the two of them and the extended network of, of people we have around the organization, we have very deep and broad ties around the industry that can be a huge asset for portfolios companies to sort of escalate to the VP level when they’re trying to close a deal, or to, to really, you know, sort of help to, to navigate corporate partnerships and what not. Beyond that it, you know, the key areas are, is, is that sort of tactical expert advice as I tell a founder is we can, we can give that. I can give b plus advice in most topics, having been around the block for a long time on the venture side. But I’d much rather get them the sort of canonical expert in whatever the area, whether it’s pricing, growth hacking, you know, certain technical domain or, or what not. We have a network of over 50 advisors around the firm that are, you know, investors in the firm, in the fund, they’re part owners here, they’re equity partners, they’re much more deeply integrated from, from a systems level through events and what not. And, you know, they’re available on demand to our portfolio companies. And we often bring them in as co-investors, you know, alongside us to really sort of focus their attention on particular companies of relevance. So, you know, we, we, we try really hard to, to sort of build the, the network around each company so that they have all the resources beyond what the, the founders could, could muster on their own, that they need to sort of succeed. And then finally, you know, we use the system, the same sort of stuff we use to advice other folks what’s going on in the startup landscape we can use for all sorts of competitive benchmarking and intelligence for our companies to really understand where they truly sit relative to their peer group. And so it’s really easy to drink the Kool Aid in the valley and, and it, it’s, it’s a wonderful thing at, at some levels and a dangerous thing at others. And so we try to, to, to always have that context and be sober about, you know, how much traction we truly have, how much, how much better we really are than the, than the competition as a portfolio company. And, and help the founder to, to really take their game to the next level. So we do, we do this under a bunch of different dimensions. Nick: Gotcha. And I want to talk a little bit more about the data piece. So I keep, you know, reading about and hearing about this, this data engine and this data platform that you guys have created called #Beacon, and how it’s essentially sort of a #Bloomberg. It looks like a #Bloomberg terminal for sort of the startup industry. You’re collecting a vast array of data from, from many different sources and then using it to help drive insights and decisions. Can you tell us more about what #Beacon does and, and how it provides value? Chris: Sure. We don’t go into too much detail on specific data sources or approaches that we take. But at a high level, it’s something that I’ve been building for the last seven years. We have a full blown engineering team of world class data scientists, you know, various PhDs in particle physics and natural language processing and what not. And a team, you know, with heavy backgrounds from places like #Google and #Yahoo, #Facebook, etc. have built a lot of the sort of core infrastructure, particularly in, in search and unstructured data. And we use that to, to track a little over six million companies or even pre-company in, in some cases. And we’re, what we’re looking at is the same sort of KPIs, KPIs from a syndicate that you would look at if you were the management team of that company and, and trying to, to dashboard your business. And that could be everything from, you know, team construction and quality to consumer customer behavior around your platform, how often do they use the internet, how, how long are they staying on it, where are they spending money, do they come back, what’s the lifetime value of that customer. That type of thing. And so we do everything from, you know, consumer transactions to app store to team to myriad other, other things, financial, financial flows, the quality of those flows, and, and much more, you know, news sentiment around companies, etc. And so, you know, and we pull together these millions of different data sources that we pull from, and in sort of a structured stream so that when you up a company, you get sort of as comprehensive a view as, as, as, as possible. The least that we’ve been able to figure out that, the information around that company. So that, you know, when you’re looking at an opportunity, you have context on the peer group and you have a lot of the sort of, you know, sort of underlying data and infrastructure that allows you to sort of have some context on that company. And then over time have context on your, your peer group once you’re investors in the company. Nick: So, so is it a, a sourcing and analysis tool that helps show you where to focus? Or is it, is it more after you’ve already identified an opportunity you can plug it into the system and see a profile that has a variety of different data points that, that give you a sense for where, where your business is at? Chris: So it’s all those things and quite a bit more actually. So certainly it, it, it has a sourcing element to it. But no founder cares, you know, what algorithm you use to uncover that there may be an opportunity somewhere. Everyone else they’re talking to somehow found them as well. And so they could, they really couldn’t care less how you did it. It may be cool and novel but what they really care about is what can you do to help me take my game to the next level and how can you support me in building a great business. And so a huge part of the emphasis is on that. We’ve actually built a full SaaS recruiting platform with Chrome plugins and browser extensions integration and the apple tracking systems to sort of extend the, the data and the network that we have built out to this sort of the, the edges of the, of, of the ecosystem, specifically to our portfolio companies into our advisors. So in some ways we look more like #Uber than we’d look like #Bloomberg in that sense that we, there’s a, there’s a driver app, there’s a passenger app and then there’s the sort of central system. And so for, in our case there’s the advisor variation, there’s the portfolio founder version and then there’s the central system. And so we’re really tech enabling the entire value chain of a venture fund. And, and, and it starts with sourcing but also includes monitoring context, diligence, syndication and most importantly, portfolio support. Nick: Can you give us an example of what you would see if you were looking at maybe a profile of a sector, a sub-sector or maybe even, you know, down to the, to the company level? Chris: Yeah. So we actually pull together heavy market maps where, you know, #Accel is one of the firms that coined this term, sort of the prepared mind. Certainly how I was trained at #Bessemer Venture Partners and a number of the top firms. You know, they have deep perspectives on individual markets. Our approach here is to, to do heavy research in the existing domains that you know of. And so in that case, you know, if you’re looking at autonomous driving cars or various, you know, areas of AI or fintech or consumer transactional businesses or, or SaaS or whatever it is, we have deep maps on all of those areas starting with the sort of macro thing that wouldn’t necessarily be in the platform. Like what are the, the secular head winds or tail winds in a given sector. You know, the shift, the migration from, you know, the automotive industry today to autonomous driving cars and, and how real are those technology, what components are there, who’s likely to win and lose in that equation on where the sort of profit pool is likely to accumulate. And so we, we, we come up with our own perspective on that based on sort of primary research, and, and as well as by the platform. And then we go out to the network of advisors and corporate partners and, and, and what not, and really sort of dive deeper and refine our perspective. And then as we meet companies we, we always sort of, you know, evolve our perspective and map. And, and these are sort of live documents that are sort of constantly, you know, learning and, and improving as over time. And then, you know, start with sort of maybe more of a bullish case. And as an industry sector matures, they’ll be sort of phased out as an investment theme that we’d consider. But I think the benefit of that is, you know, one, there’s affirmative tech enablement in the way that we approach it. So it’s much deeper and broader than you’d be able to manually do. Two, we use the sort of extended network of, of corporate partners and advisors in order to sort of refine our perspective. But from a founder’s perspective, you know, we’re not, you know, sort of reading the same articles as everyone else and just sort of chasing the hot trend of the day. We’re, we’re basing our perspective in, in a much, you know, sort of deeper research driven approach, which hopefully will help to, you know, help us sort of be a, a good sparring partner with advisors I think through a sector and really help them refine their thinking but also grounds us so that we have our, some of the Silicon Valley group think that you tend to find from, you know, all the VCs talking to one another about the same topic. You tend to get a little bit more of a consensus view. And this allows us to, to really have our own unique perspective on markets and where the timing is and what and how, how bullish we really are. So you’ll often find that a lot of the in vogue sectors we’re not as bullish on. And we, we do a lot of investing in areas that, that are not as common for other funds. Nick: Got it. So you can zoom out to very broad sector levels and, and zoom all the way down to, to very discreet levels as well, all the way down to individual companies that have their own data elements that indicate to you if it’s something interesting and, and worth taking a deeper dive in? Nick: Got it. And I, I’ve noticed you guys invest at the seed stage. And I’ve looked at the portfolio. It’s, you know, very impressive. But does data really exist with a lot of these early stage startups and also in nascent sectors, you know, things that have not emerged quite yet? Like can you get really get the data that’s required to, to help drive decisions? Chris: So I would say definitely yes. That was a, a huge question we got a lot with fund one. And, and so, and more recently I think, you know, our respective investors, our limited partners have gotten much more comfortable and much more conviction that that is definitely the case. So to give you an example, you know, we invested in a company called #Zume Pizza, that has a robotic assembly line where they produce pizzas at volume, partially bake them, and then have a network of, of vehicles that they use for delivery. And with the trucks with 56 micro ovens that are all synchronized to the deliveries. So they sort of are pushing that, that, the, the cooking process and, and doing it concurrently to the edges of the network, so that you can get, you know, better pizza faster, healthier, etc. because you’re not sort of cooking in a central kitchen with a lot of human labor. And then having a driver, you know, pick up the pizzas, stick it in a box for 45 minutes. It’s, the cooking of the pizza is synchronized precisely to the delivery time. So that it’s not too hot to burn your mouth but not, you know, as effectively molten and, and very fresh as if it had just come out of the oven at the pizzeria. And so, you know, that didn’t exist before. So there was no data. This was an idea in a Powerpoint when we invested. But there was a ton of data on Domino’s pizza and on what the market looked like on the on-demand food sector and, and where there was product market fit there, and what were the challenges the on-demand food sector from a sort of contribution or gross margin perspective. And so some of that is in the data that we have. And some of that is just the intelligence that we have for a number of our investors and advisors and, and, and corporate partners being very interested in the on-demand food sector. And so, you know, we were generally very bearish on a lot of the existing incumbents there, the new generation of startups. But we were very bullish on #Zume Pizza because you start with 80% margins instead of say 10-15% that you’d find for, you know, folks that are working with the local restaurant networks. So there wasn’t any company per say on the data, data on the company itself. But there was a ton of context that was hugely valuable in it for us to get conviction about the opportunity. And it was hugely valuable to the entrepreneur to have the context of how their peer group was doing, both from the startup world as well as the industry incumbents. So that’s, that’s a very commonly use case of, of data in the platform. You know, most, most things are not completely novel where there’s never been any variation of, of what they do. Though they are usually an interesting twist or an evolution or even a revolution of what’s been done previously. But, you know, sort of history tends to rhyme. And so the, the, the data can give a lot of context on, on the, the ecosystem in which a company is, is, is pursuing. That said, you know, while we’re a seed stage fund, we, we, we have more than just a seed stage, stage vehicle. Won’t get into the details of that. But we have the ability to do later stage investing as well. And so we invest up and down the stack. But our, our primary focus is on sort of seed and Series A stage investments or what we call the breakout stage which is sort of post product market fit, that inflection point where companies are really starting to take off, and are now entering sort of hyper growth. And so we have a lot of resources aligned with sort of that, you know, part of the life cycle as well. So we can, we, we’re, we’re more full spectrum than, than most people realize. But our, but our primary point of entry is, is of investment is getting involved, we like to get involved really early and help build that sort of foundational team. Really help the company sort of come out of the gates in the right way. And then we’re closely with the sort of Series A investors that are, you know, the classic #Greylock’s , Sequoia’s, #Benchmark’s of the world. And then we’ll often continue to invest or participate and even sometimes enter, you know, for the first time into an opportunity at, at that later stage range as well. And so we’re a little bit bar belled in that sense where we’re primarily seed and, and small Series A. But then we also have the capacity to do later stage investing as well. Nick: Got it. And I, I don’t want you to give away the secret sauce here, but are these public sources, are you scraping data? I mean, how are you coming by sort of this, all the information that drives the engine? Chris: You know, it’s, it’s a mix of, of millions of different sources. And so some of that is data that we buy, some of it is data that we collect ourselves from the public domain, you know, it’s, it’s, you have to be very creative about these things. We start at very first principles. We don’t throw a bunch of data in the stew and say well what does it tell us, what correlations are out there? We, we start from first principles and say okay if I were running this company, what would I be focused on? Okay, now does that data exist in some way, shape or form for me to triangulate or answer that, that question? And, and you’d be surprised at how often it is possible to do that if you have the right team, if you know where to look. And, and that’s very much the way that we start is, you know, what do I care about, what do we think of the key drivers of success? And we go collect that data and, and prove or disprove our thesis from that point. Nick: Got it. So, #Chris, I’ve, I’ve worked for companies that had a difficult time getting one database talk to another. Can you really source unstructured data from limitless sources and structure it in a way that’s streamlined, uniform, single record and can really be used to, to drive insights? Chris: That was the, that was the core learning for me from my early attempts at doing this was I approached this originally as a data science problem. And that was a total fail. You, this is, you know, you’re dealing with unstructured data, the answer is yes. It takes a tremendous amount of work. That’s where 90-95% of the work is, is taking those unstructured data sources, individually structure them to high degrees of accuracy, cleansing the data, data munging. And it’s just all this data janitorial work, and building pipelines that self heal as, you know, formats on web pages change. And, you know, and all of that infrastructure that frankly has been built by folks like #Google but, you know, is not, is a, is a much deeper problem than, you know, sort of the data issues at, at like a #Facebook or, you know, or some of the social networks. Because they’re dealing in relatively structured data, it may be user generated and so it may have it’s own flaws. But, you know, but it’s, but they’re dealing with much more, much more structured data. Whereas like the #Google’s of the world, you know, are out crawling the entirety of the public web and then bringing that back in a structured format. So we do something that’s much more similar to that, except for we really constrain the domain and, and, and the sources that we pursue and spend a lot more time and energy cleaning and processing those, those sources individually before we then combine them into sort of what you see on the front end. And so that, that’s really what makes this so hard. Frankly much harder than I would have ever guessed. And it’s why you need, you know, we spend probably more than ten million dollars a year on the platform all in. And, and so it’s a very non-trivial exercise to get to this level of precision, this level of structure from what is inherently very messy data to start with. And it’s a combination, you know, of, of many different techniques that are used to do this. But it is possible. It’s been done in a number of different domains. But it helps a lot to constrain, to, you know, certain types of technology startups and not the entire world. So it’s, it’s not nearly as ambitious solution of what #Google has done, but nonetheless it is, it is a mini, mini version of #Google in a very constrained domain around a very specific set of actors and, you know, asking very specific questions as opposed to just sort of throwing the data in the stew. Nick: Do you think about data that’s empirical and, and fixed versus data points that can be influenced? And if you find like a strong startup profile that’s missing a couple key elements that, that can be influenced, will you engage in an attempt to, you know, help the founder address those factors? Chris: I mean, I think almost always it, you know, every company is a work in process. Chris: And as soon as you, as soon as you, you know, fill in the holes that you have within an organization, if it’s a, if it’s a hyper growth company or, or even not, very quickly you outgrow whatever solutions you, you made. And now you may need to recruit a different management team. You may need to, you know, at the go to market on the sales side, you know, the organic will, will longer scale. You now need to go sort of paid acquisition or what not. So all of these things are evolutions. And then most of the, sort of iconic companies obviously like #Amazon or #Apple being in the extreme of this are constantly reinventing themselves with new product lines, new extensions, or complete, you know, sort of restarts of the, of the companies in mid air, if you take like an #Intel or, you know, or #Opsware, some of these companies and what they’ve done. So, yeah, for sure, I mean, there’s, you’re never done. You’re always building on, on what, on the foundation that you already have. What we try to do is make sure that that foundation from day one is the strongest that it can be, that you build the right culture, that you have the right partnerships, that you have the best team possible, and all those things make the, the rest of the evolution much, much easier if you, if you build it right from the ground up. Which is one of the reasons frankly we like to get involved super early. It’s because we’re able to bring an ounce of preventive medicine to a company rather than sort of try to retro fit an upgrade in team or, you know, a new channel partner or whatever it may be. At the later stage it’s, it’s easier to work in supporting that founder in augmenting their own network and capabilities from day one to bring the absolute best people to the table in, in all dimensions of a company from the start. Nick: So, #Chris, I’ve, I’ve looked over the, the sector list of consumer and enterprise areas where you invest and, and it’s a broad list. Nick: So, you know, I’m curious, can you have a data platform and engine that, that works well for such a varied and broad landscape? Chris: So yeah, it’s, I mean, it’s definitely part of the challenge. You know, the, the sort of factors that influence success in, you know, a storage company versus a social network are radically different, you know. One has an app and is ad supported and the other doesn’t have an app and obviously has a totally different. And then obviously there’s myriad companies in between. So you have to solve for each of those individually. And I would say there are some commonalities across all of those types of companies. And then there’s many dimensions, many more dimensions that are different. And so we, we do constrain, you know, we’re mostly focused on the application. And we do, we are very deep technically ourselves, and so we will do some of the infrastructure layer. You know, there is some common threads to the types of things we do. If I have to take a single sort of cut on it, it would tend to be, you know, novel uses of data to better solve an existing problem, either vertically in a sort of full stack approach where you’re doing everything end to end and you are your own customer and you’re building infrastructure for, you know, to solve your own issue. So that might be an #AirBnB or an #Uber or a #Zume Pizza or, you know, those types of companies that are building the entire stack for their end customer. Or it may be horizontal where you’re doing something like security or, or payments or whatever it is that applies to, to a myriad different customer types like a stripe or a square or something like that. And so, you know, we’ll do both. But I’d say that the common thread tends to be the heavy use of technology in data to sort of reinvent the way that a process is done today. So it’s not just, doesn’t tend to, doesn’t just tend to be like SaaS. It tends to be smart SaaS, that sort of data enabled SaaS. Or it tends to be not just a sort of consumer, you know, e-commerce experience. It’s something that has heavy, heavy use of data like personalization or, or, or prediction or, you know, forecasting, you know, you know, demand, those types of things where, where you’re, you’re really using some intelligence there that obviously plays to our own strengths and what we’re doing internally. We are, we are sort of meta in that we are our own AI sort of driven venture fund investing in AI companies in their own respective industries. So, you know, there, there is an, an element of that. But, you know, we do have to be careful to pick our battles. And it’s one of the reasons why it’s hybrid sort of human intelligence and, and primary research traditional like, like a traditional venture firm would do mixed with much more data enablement, much more real time monitoring to, to know what’s going on at the individual company level at a much more micro granular level than you’d be able to do manually. Nick: This is probably in over simplification but are you using sensitivity and regression analyses to, to figure out the, the factors in, in certain sectors that matter most versus others? Chris: Yeah. We do. We, we go much deeper than that. I mean, we’re, we’re pretty heavily into what you, beyond what you could do, you know, as a human. Chris: And, and moving heavily into like deep machine learning types of approaches on this and massive statistical studies that we can do as a result of the scale at which we’re operating. And the feedback loops are, you know, in the millions of, of companies and the trillions of data points. And so, you know, it’s impossible to even approach this scale even within orders of magnitude on a manual basis. So this is, this is a 100% machine learning, a 100% sort of AI. And zero hand input data. Though obviously there’s a lot of human perspective and a lot of what questions you answer. A lot of, you know, sort of anecdotal monitor to make sure that, that the data is synchronized and, and accurate. But that’s the, that’s the real challenge and art to what we do. Nick: if he had any questions for you. And his question was #Chris, why is the best way to monetize your extremely impressive platform via venture capital and a venture capital fund and not some other use?